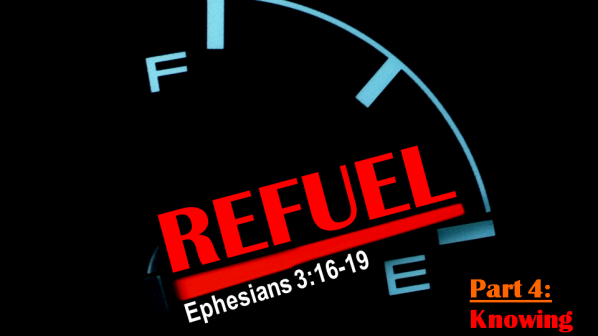 Refuel – Part 4 – Knowing Do you know that God loves you? Do really know that love deep within your soul? Paul’s final prayer for the people of Ephesian Church and for us as those who come along behind is that we would know the love of Christ that surpasses knowledge and in so doing we will be filled with the fullness of God.